See an example of what we currently have on offer! MySpanishRoom aims to take the difficulty and cost out of finding an appartment while studying, interning or working in Barcelona! 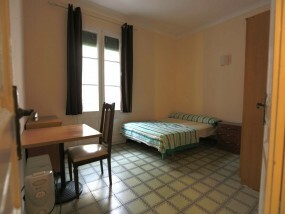 At MySpanishRoom we have agreements with renters and property owners all over the city. We use these connections to bring you the best quality accommodation at the best price. 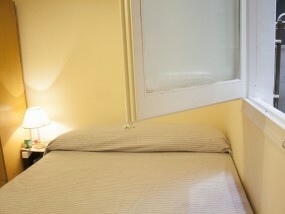 At MySpanishRoom we aim to make your stay as easy as possible. Catering to students, interns, and short term work contracts. Give us a try, and let us make your stay easier! Only the best quality student accommodation is used. We are in constant contact with the owners to make sure you get the most out of your stay. With the inclusion of several perks such as, free club entries, organised events, and discounts on everything from Internship fees to restaurants, we can help you make the most out of your stay. We have 3 packages for you. Check them out and choose the right one for you. Here from other happy users! Thanks for all the help! You made the process of finding an apartment so much easier. I had an apartment before I arrived. I would definitely recommend MySpanishRoom! This was a great choice for me Erasmus. I was living with other students and it was great fun!